They say that a barber’s tale is no ordinary story, on the other hand, others dismiss it equivalent to a rumor. In the Philippine culture, a barber’s tale comes close to a fact, if it isn’t. 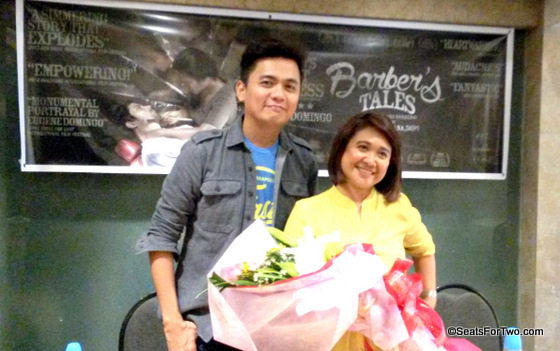 In the upcoming suspense-drama movie “Barber’s Tales” led by actress Eugene Domingo, director Jun Robles Lana brings the dynamics of societal politics and personal conflicts into the fray. Set during the start of martial law during Marcos dictatorship of the 1970s, the story of Barber’s Tales is about a widow named Marilou who just inherited a rural town’s sole barbershop, a business that has been passed down by generations of men, from her husband. In a recent blogger’s conference held at Wheatberry Cafe in Quezon City, actress Eugene Domingo confessed that this movie holds a special place in her heart since she devoted much emotion and overcame physical challenges to portray her role. Eugene is best known in Philippine cinema as an award-winning comedy actress, so this shift to a serious movie can be considered a very bold move. She herself expressed hesitation that the public might not be used seeing her in these kind of movie. “Maraming pagod ang aming ipinuhunan,” says Eugene as she shared the hardship the entire cast had to go though to produce the movie which is set in far-flung provincial areas. Nonetheless, she is hopeful that the Filipino moviegoers will be able to appreciate the movie for its story and quality material. She is also very confident with the outcome of the movie as supported by the whole cast including veteran actor Eddie Garcia, prime actress Iza Calzado, Gladys. Reyes, Shamaine Buencamino, Noni Buencamino, Nicco Manalo, Daniel Fernando, and Sue Prado, among others. Barber’s Tales is actually the second in a planned trilogy set in rural Philippines. The first was Bwakaw in 2012 which told the story of an old gay man who solely looks forward to death. It was acclaimed on the festival circuit including Toronto, New York, and Tokyo, and was picked up for distribution by Fortissimo Films. Barber’s Tales is the second while Ama Namin (Our Father), which is now in preproduction, is about a boy and his father, a priest. To date, Barber’s Tales has already won 4 awards including Best Project, at the 2013 Hong Kong Asia-Film Financing Forum and Audience Award (Crystal Mulberry Prize) at the Far East International Film Festival). Eugene Domingo has also bagged the Best Actress Award from the 2013 Tokyo International Film Festival for this film. A playwright, screenwriter, TV and film director, director Jun Lana is the youngest Filipino to be inducted in the Hall of Fame of the Palanca Awards, the Philippines’ most prestigious literary writing contest. 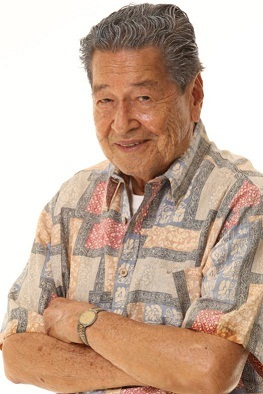 His prize-winning debut screenplay “SA PUSOD NG DAGAT” (In The Navel of The Sea), directed by his mentor Marilou Diaz-Abaya, premiered at the Panorama Section of the 1998 Berlin International Film Festival. “Barber’s Tales is actually an old screenplay I have been developing since 1997 when it won in a national screenwriting competition in Manila. Thematically, I feel that the story fits in nicely with the issues of identity and choice that I explored in Bwakaw. But unlike Bwakaw, which is very personal and intimate, Barber’s Tales plays on a bigger canvass, and covers the tumultuous years of the Marcos dictatorship, the ramifications of which are ultimately universal and relevant up to now,” shares Director Lana. After seeing the trailer and hearing the gist of the story from director Jun Lana and actress Eugene Domingo, Seats For Two is anticipating a meaningful and both psychologically and emotionally stimulating drama movie from APT Entertainment about female empowerment and gender barriers with a tease of an “almost kiss” between Eugene and Iza Calzado. 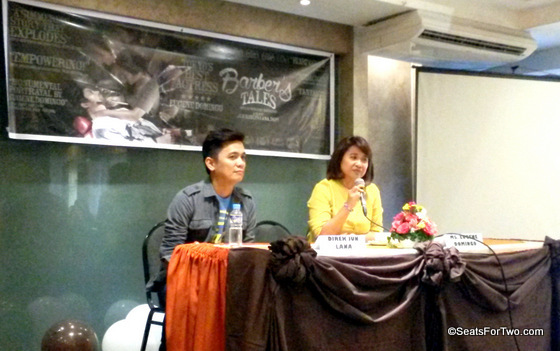 Barber’s Tales will be shown in select Philippine cinemas this August 2014. Know more about the movie at their Facebook page http://www.facebook.com/pages/Barbers-Tales/400417713386689. Jonel Uy is the hubby in the SeatForTwo.com tandem. Hailing from UP Diliman with a degree in Computer Science, he is also the Managing Director of #DigitalCircles.asia engaging and amplifying social media campaigns for brands. On Mondays, he teaches information technology classes at a local college. Johnny Rockets Couple: Lobster & Wagyu Burger? Congratulations on Barber’s Tales Ms. Eugene!